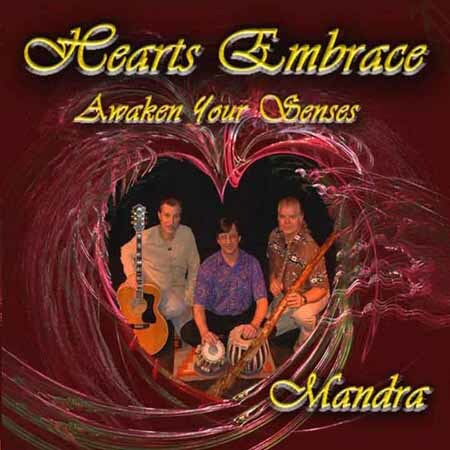 Composed and performed by the multi-talented world-fusion trio, Mandra, “Heart’s Embrace” features seven amazing extended tracks that can open the doors of your perceptions and heighten your sensory awareness. The CD Includes a guide to “Awaken Your Senses”. 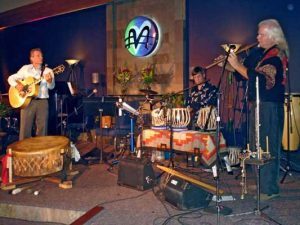 Soothing, introspective and peaceful throughout with a celebratory dance at the end. Listen to short audio samples below…. Artist Direct Discount with Free Shipping within USA Included! International shipping available with additional fee. Contact us before ordering. Includes high quality MP3s of each song along with all the cover art and liner notes included in the CD package. Your download link will be delivered by email. Featuring Jim Eaglesmith, Pete Fairley & David Blonski playing an amazing array of instruments from around the globe.